Create unusual effects in watercolors and tempera paints by rolling paint on paper. 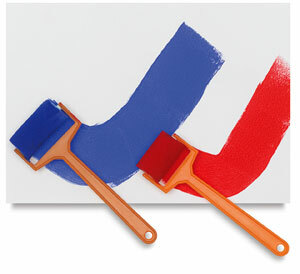 Also for window painting or for making quick and easy signs and banners. Plastic handle. Widths to 2-1/4".